How many pumpkin spice lattes have you had this year? Be honest; I won't tell anyone. What if you could get all the taste of a PSL without adding extra calories or spending much money? 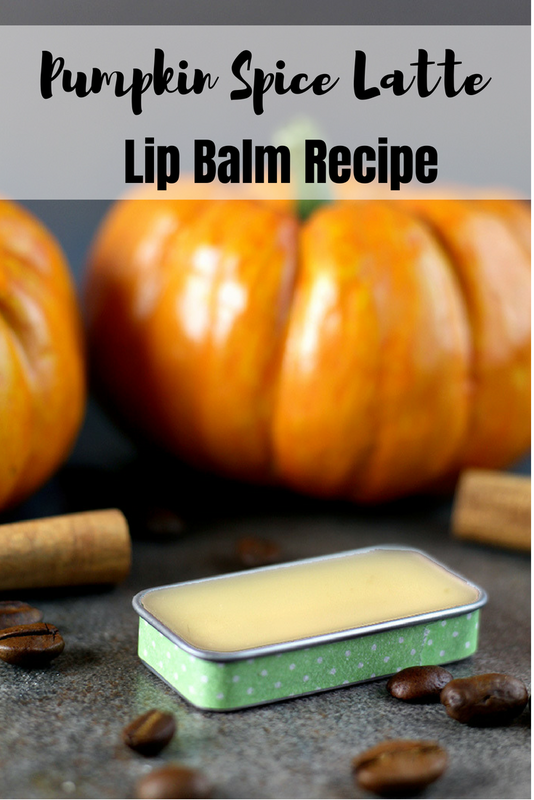 With this pumpkin spice latte lip balm recipe, you get all the smell and taste of a PSL at any time without running to the coffee shop or drinking extra calories. When I was creating this recipe, I had two dilemmas to overcome. The first one was how to get a true coffee flavor without using actual coffee grounds because they are messy or brewed coffee because then I would need a preservative. The second was how to get the spices mixed in with the lip balm because they tend to get clumpy. I decided to use coffee infused oil and essential oils. To make the coffee infused oil, simply place some finely ground coffee in a glass jar and cover with a carrier oil. I used sweet almond oil, but any liquid carrier oil would work. Let it sit for at least two weeks before straining it. You can also use a warm infusion by placing a towel on the bottom of a slow cooker. Place the jar with the coffee and oil on top of the towel. Add water to the slow cooker until it is over the beans and oil but below the top of the jar. Turn the slow cooker on low and let cook uncovered for 4-6 hours. Strain the oil. Coffee infused oil can be used in several recipes, so store any leftover oil to use later. The ingredients in this recipe should be weighed using a digital scale. 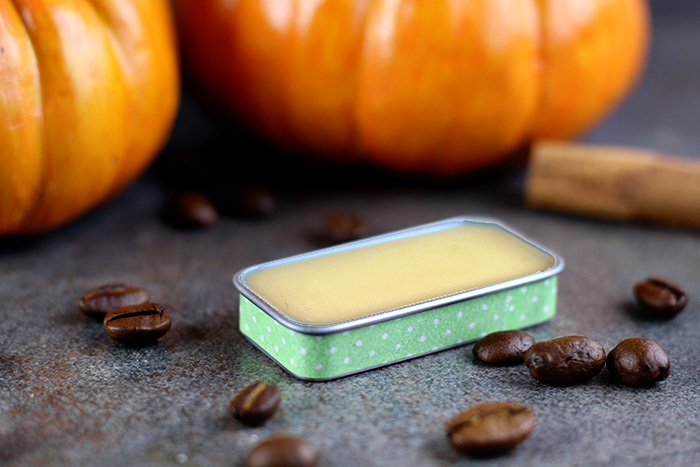 I used a metal slide top tin from SKS Bottle & Packaging, but you could also use lip balm tubes or pots. Combine the coffee infused oil, shea butter, and beeswax in a double boiler. Heat until melted, stirring occasionally. Remove from heat. Add the essential oils and stir. This recipe will make three ounces of product.